1956 casting couch exposé shows little has changed. In 1956, a Fan Magazine Published a Four-Part Casting Couch Exposé. It Didn’t Go Well. 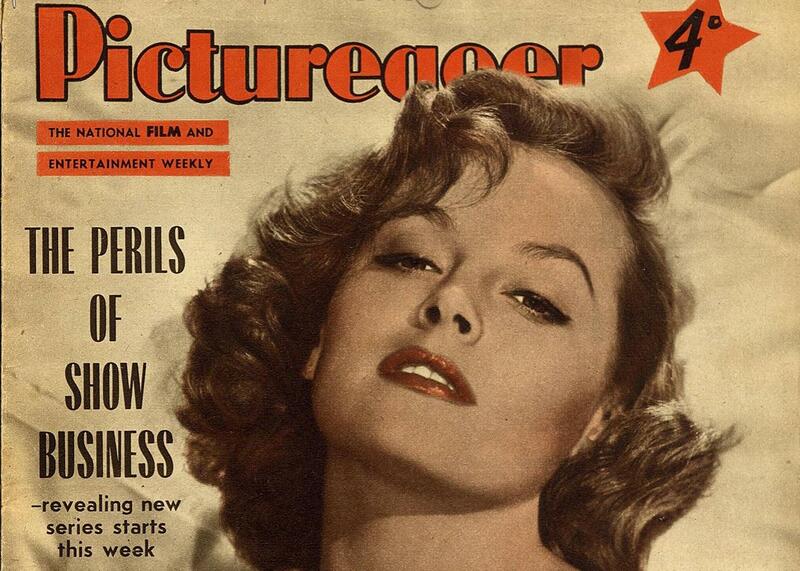 Picturegoer announced its four-part series about the film industry’s casting couch culture on the cover of the July 14, 1956 issue, right next to a glamour shot of actress Victoria Shaw. The term casting couch first appeared in Variety on Nov. 24, 1937, in a story poking fun at a Chicago Tribune reporter for misusing it because he wasn’t cool enough to already know what it meant. That Tribune reporter was writing about a new system at Chicago’s WBBM whereby only women were allowed to audition female radio talent—and if you wonder what might have prompted WBBM to ban male executives from the process, well, no one comes right out and tells, just as for decades no one came out and told the stories lots of industry insiders were whispering to each other about Harvey Weinstein. Now they are. But this isn’t the first time that we’ve all been shocked, shocked to find gambling in this particular casino. On July 14, 1956, Picturegoer, a British fan magazine, published the first chapter of an explosive four-part exposé about the casting couch that is simultaneously revelatory and depressing. It reveals that Weinstein’s playbook for allegedly abusing women would have been right at home in the 1950s. It also reveals, not for the first time or the last, the ways that reporters’ internalized biases and tendency to sensationalize can lead them to report a story in the least helpful way possible. And sadly, it reveals how little some things have changed: Between the lines of the article, women are trying desperately to sound an alarm, and no one is listening. This is the most depressing story we have ever written. For weeks we have made our investigations—over the lunch table, in studios, and from the depths of cozy armchairs. Gradually we have built up a dossier of information, which, we believe, is an ugly scar on the glamorous face of show business. A producer over here [in England] offered Dorinda Stevens a role. Would she “dine” with the producer? Miss Stevens refused. Once, twice, three times the assistant rang. Miss Stevens went on refusing. The assistant altered his tactics. Would Miss Stevens read over her lines at the producer’s flat? Only, was her reply, if other people were there. This was agreed. Miss Stevens went—and found herself alone with the insistent producer. She walked off and abandoned the offer. One: when you have to talk business, stick to offices—and office hours. Two: refer invitations and offers to your agent. Three: don’t give your home phone number, give your agent’s. Of course, the entire story is filtered through Walker and Hutchinson’s own biases and the unstated assumptions of the time: that it was the responsibility of actresses to avoid what the reporters repeatedly described as “temptation,” and that women who yielded to producers’ pressure were to blame for any career fallout that followed. (“No showgirl can afford such a reputation,” they sniffed.) And the follow-ups in the series would have done little to inspire other victims to step forward: Part Three was literally headlined “Don’t Always Blame The Men” and told stories of would-be actresses throwing themselves at producers. Things have changed since the 1950s: Weinstein’s rapid downfall counts for something, even if we just elected Donald Trump president, and much of the reporting on Weinstein’s alleged wrongdoing has been free of the kind of sexism and shaming that often accompanied such stories 60, 40, or even six years ago. But building an industry and culture in which powerful men don’t feel women are theirs to threaten, cajole, intimidate, and harass will require us to skip the cultural amnesia this cycle. Read more in Slate about Harvey Weinstein.